With the level at which technology is being impacted on the field of interior decoration, there are more new trends getting into the market by the day. Interior decoration has gone from one step to the other, advancing to the levels of having items that can be placed on the top of the table. Such items are called tabletop craft toys, very new and trendy items that require less space and are easy to use. Being very easy to use yet highly decorative, many people have turned to using decorative tabletop craft toys as compared to other items that could be fragile and hard to install. Need to give your house a good look? 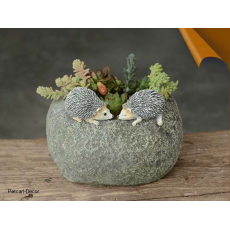 Our resin stone pot is the best that you can buy to give your house a beautiful look. The resin stone pot will not only add a touch of beauty but also create a storage space where you can put small items in the house such as cufflinks, buttons and coins.